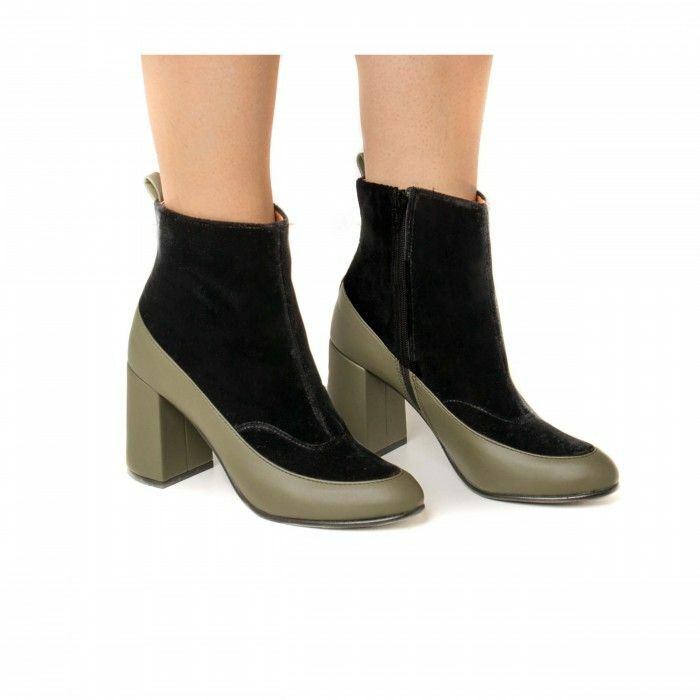 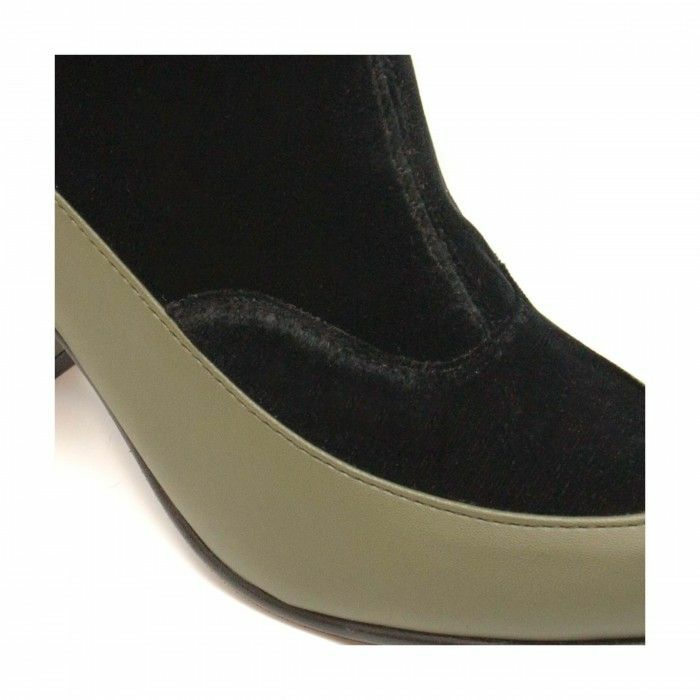 Woman vegan low-rise boot, with a 8,5 cm block heel, made with velvet and soft microfiber. 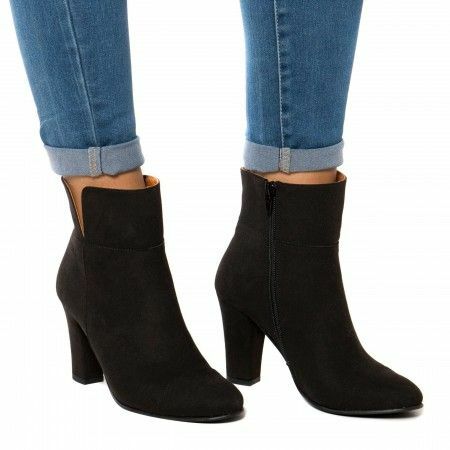 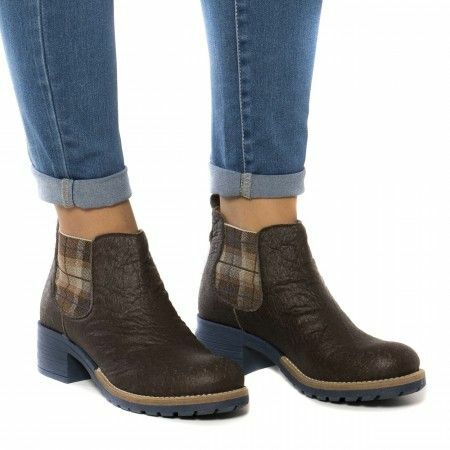 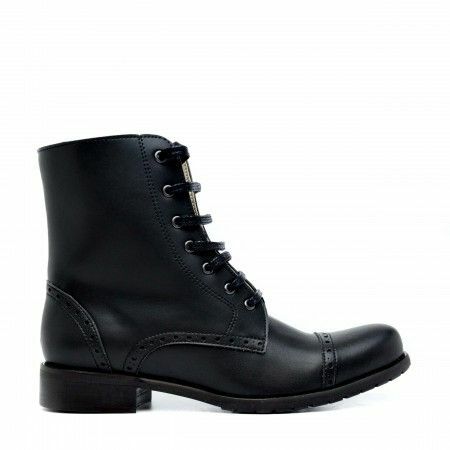 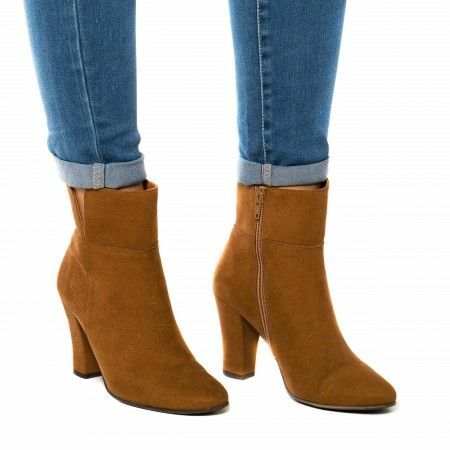 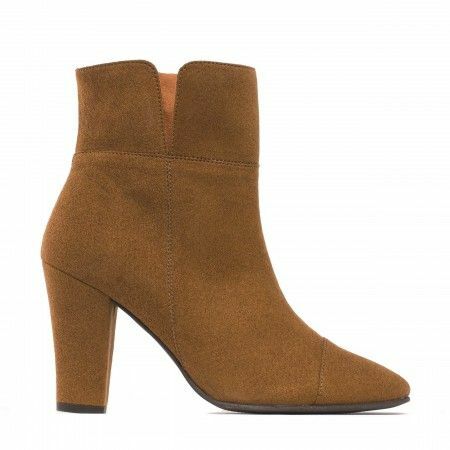 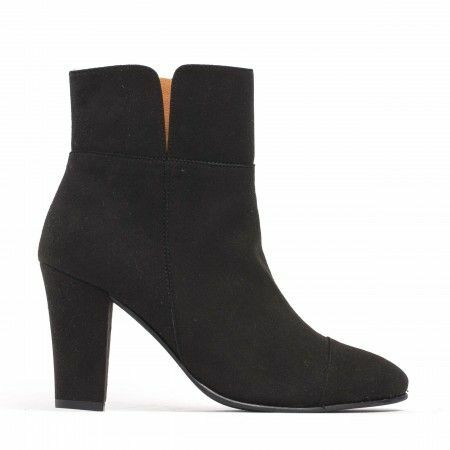 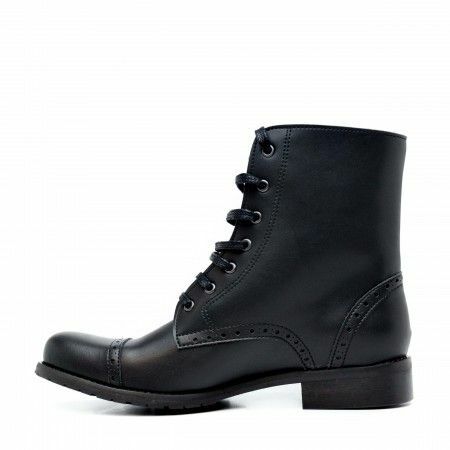 It's a very stylish and perfect boot to wear at work. 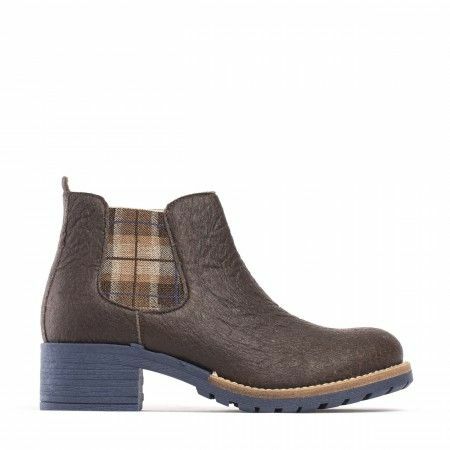 Has a block heel and a free of nickel zip. 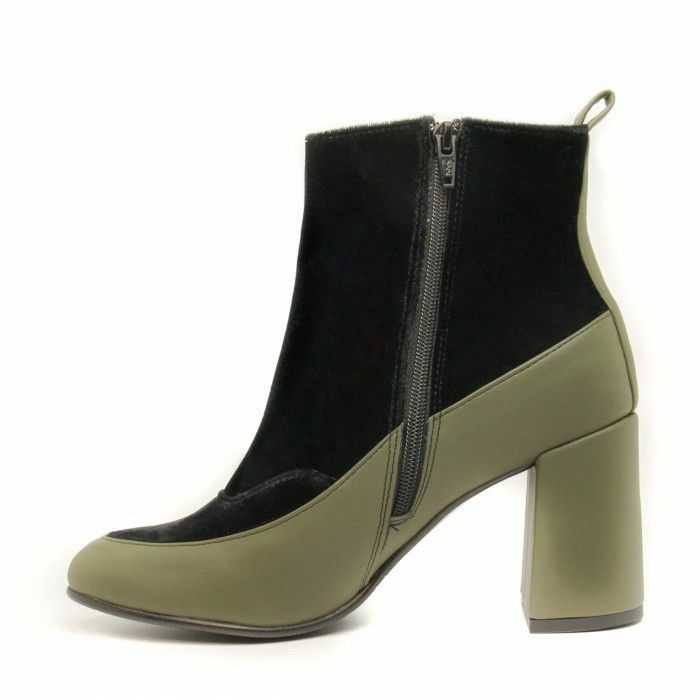 Available in black and green. 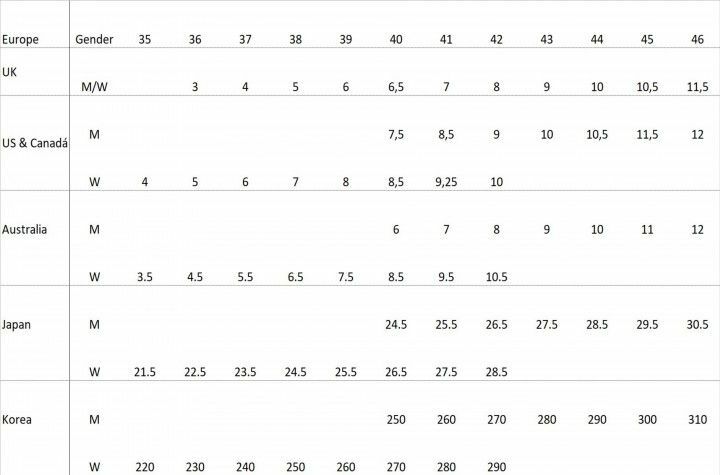 Do not use polish cream.